I have a Gamepad which is not working, I say "not working" because I was playing Urban Terror and the game was not responding to the gamepad button presses. How do I get the gamepad to work? I tried it in some other games Torcs, SuperTuxKark, Enemy Territory.... but, Same, there is no response to any of the gamepad button presses. Bus 003 Device 003: ID 0079:0011 DragonRise Inc.
003 on third line is my Gamepad. 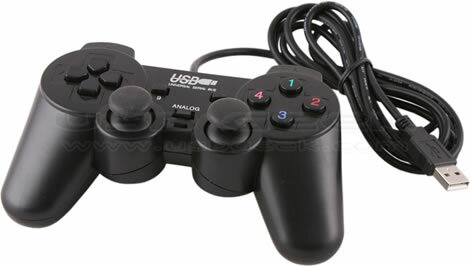 If your game supports generic gamepads, than its going to work with this one as well. You have to replace DEVICE with the path to your device (e.g /dev/input/js0 ). Not the answer you're looking for? Browse other questions tagged 10.10 gamepad games or ask your own question. How do I get an Enter USB TV Box TV tuner aka Gadmei UTV302 to work?